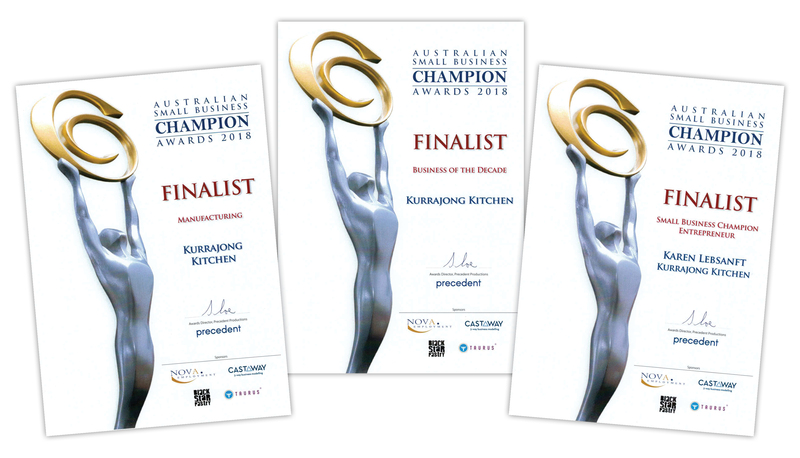 We are so excited to bring you the news of our finalist nominations for the 2018 Australian Small Business Champion Awards, chosen from over 2,000 entries. Nominated for 3 awards – “Business of the Decade”, “Manufacturing” and congratulations to CEO Karen Lebsanft for her “Small Business Champion Entrepreneur” nomination, we look forward to the 21st April to join a cohort of amazing small businesses for the announcement of the winners. Thank you to our loyal Kurrajong Kitchen supporters for munching away on our lavosh over the past 25 years, you are an integral part of why Kurrajong Kitchen is here today….still baking and still kicking goals.